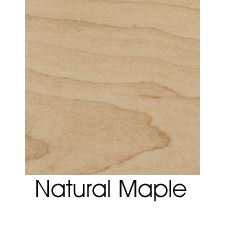 All natural oak and maple wood species tables are available in a variety of edge styles and stains as shown. 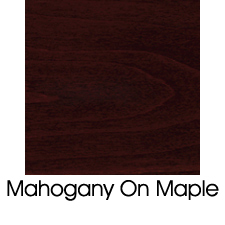 All solid wood tables are available in a wide range of sizes including rounds and drop-leaf styles. 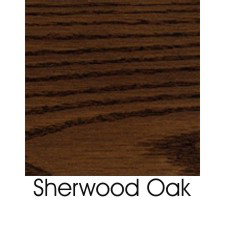 Table tops using standard sizes and stains are quoted on the basis of quantity....see wood table pricing examples. 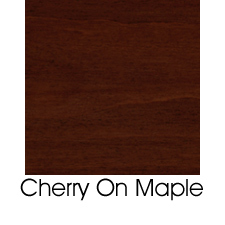 Table tops and table bases come in many different styles and price ranges. Commercial table tops and table bases are usually sold separately. It is for this reason, among others, that table tops are NOT predrilled on the underside for table base attachment. 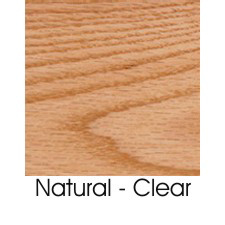 Solid wood tops often have three or more holes on the underside to	facilitate manufacturing. 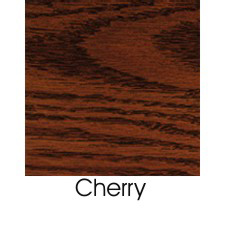 Custom sizes and stains can also be quoted by request. All table grain runs the length of the tabletop. 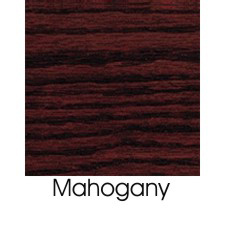 Make sure to consider this for any wood tops that may be used butted up to one another. 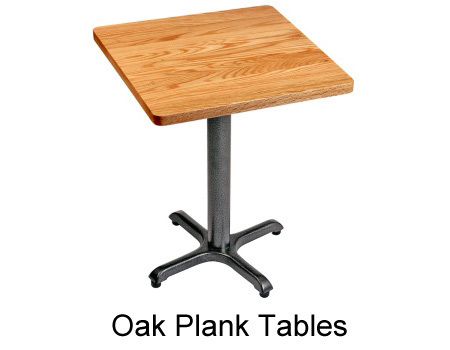 Oak tables are available in Plank style 1 ¾" thick. Plank tabletops consist of identical length, random width solid wood planks that are laid edge-to-edge to create a solid effect with a random appearance to the grain pattern. 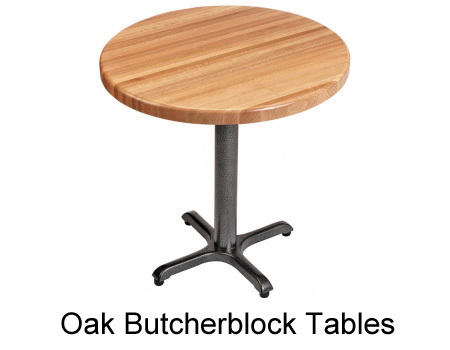 Oak tables are also available in Random length butcherblock 1 ½" thick. Oak butcherblock tabletops are constructed of uniform widths of solid wood strips (staves) laid back to back in a random pattern. 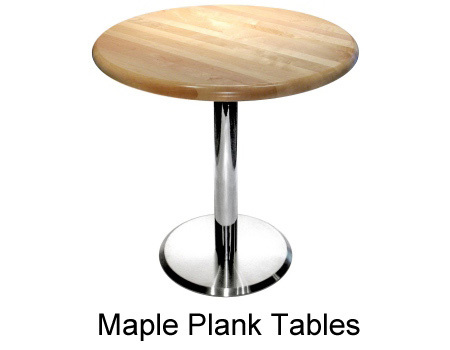 Maple tables are available in Plank style 1 ¾" thick. 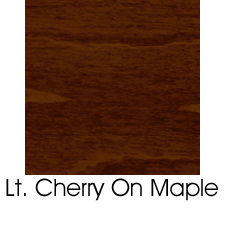 Maple plank tabletops consist of identical length, random width solid wood planks that are laid edge-to-edge to create a solid effect with a random appearance to the grain pattern. 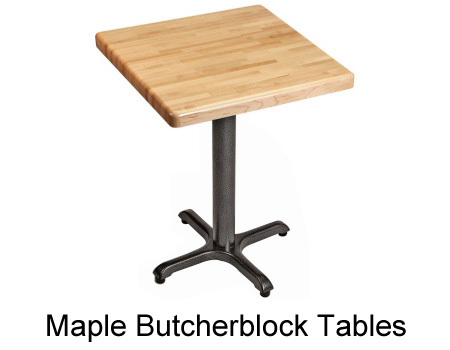 Maple tables are also available in Random length butcherblock 1 ½" thick. Maple butcherblock tabletops are constructed of uniform widths of solid wood strips (staves) laid back to back in a random pattern. The E5 Straight/Eased Edge Is Standard. An Additional $35 Per Top Charge May Apply To A5 Bullnose, D5 Rounded Edge And P5 Beveled Edge Orders. Wood tables will occasionally warp. Wood is a sponge like material made of cells and fibers that swell and shrink depending on the temperature and moisture in the surrounding air. When a tree is cut down, first of all the water in between the cells evaporates, then some of the water inside the cells dries out. 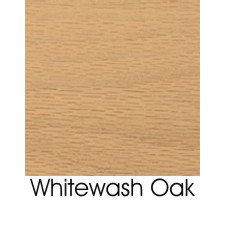 Drying from its green condition, wood will retain its original dimensions until the moisture content falls to about 30%. A certain percentage of water always remains. 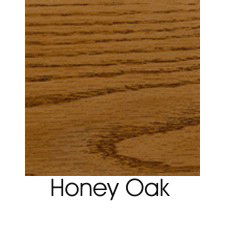 With air-seasoning, the moisture content of most types of wood will fall to between 23 and 17%, at which level it will be in balance with the moisture content of the air around it. In pre-central heating and air conditioning days, the wood would be stable enough to make into furniture. 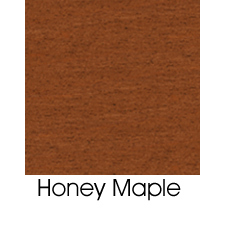 Wood table manufacturers now kiln dry lumber to further reduce moisture content and make the material more stable. All manufacturers have some tolerance for some warping (as much as 1/8" per lineal foot). It is an unavoidable fact of nature. If you find you have warped table top immediately after receiving your order we can help determine if the warping is within the manufacturer's tolerance. 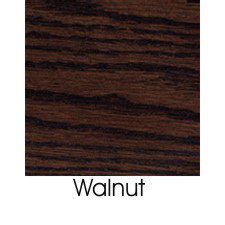 To avoid warping after you begin using wood table tops a cool environment (72 degrees) with a relative humidity of about 50-55% and a little bit of air movement is said to be ideal for wood objects in general. Change thermostat settings gradually as seasons change. A sudden change in temperature or humidity is the worst thing possible as moisture will be sucked out of or pushed into the material far too quickly causing tension inside it. Excess heat and dryness can even cause cracking and splitting. Avoid extremely hot plates, excessive water allowed to stand for long periods. Also avoid vinyl table cloths and glass tops as they can prevent air circulation and cause warping.